In claiming that rental property is under taxed, evidence was provided through the Tax Working Groups (TWG) background paper, which included a study in marginal effective tax rates between different investments or assets. To their credit, the writer noted that the NZ Property Investors' Federation disputed this, but then said that our argument was "very arcane". Not knowing exactly what arcane meant, I looked it up. As it means hard to fathom or mysteriously obscure, I thought I would write this article to demystify our argument for them and the general public. The first point I would like to make is that the NZPIF were very grateful to the Tax Working Group for considering our concerns, taking the time to meet with us and confirming that rental property isn't undertaxed compared to other assets as their background paper had originally said. Rather than being an arcane argument, it was a sound argument that the Tax Working Group graciously considered and agreed with. In addition, the issue with the TWG study was not ours, but that of Financial and Economics Consultancy Morgan Wallace, whom we contracted to review the TWG study. Morgan Wallace produced a report showing that there were serious flaws with the TWG's study, leading them to conclude that apart from bank deposits, rental property is actually taxed at a higher rate than other investments or asset classes. A key concern with the TWG study is that it assumes capital growth for property but not for other capital growth assets. So they assumed that all of a return for other assets were taxed, but only the rental portion of rental property returns were taxed. In other words, they treat PIE Funds, superannuation and companies like bank deposits, not only assuming they don't increase in value, but that they actually lose value due to the effects of inflation. This had the additional affect of amplifying the mistaken assumption. They also mysteriously failed to include share assets. Given that this TWG study was a key piece of information that they would use to make decisions on changes to New Zealand tax laws, it was crucial that they realise the critical problems the study contained. We submitted the Morgan Wallace report to the TWG who contacted us with a request to meet. Officials said that there were two valid concerns about their study. The first was that their assumptions about the allocation of returns between taxable income and tax-free capital gains were hypothetical and arbitrary. The second was that rental property was modelled differently from other assets. They confirmed that if they had treated other assets that also had a capital growth component the same way they treated rental property, then rental property would actually have a higher marginal effective tax rate because of local government rates. They informed us that to illustrate the tax system’s effects on different investments and assets, it would have been better to assume that the investment is a uniformly risk-free security with consistent capital gains. This led them to conclude that their study is less well suited to comparing taxes across different real investments. As previously mentioned, rather than being an arcane argument it was a sound argument that the Tax Working Group graciously considered and agreed with. The second issue that the Herald report and Editor raised was that rental property owners have a tax advantage over first home buyers. This was due to Westpac Economist Dominick Stephens claiming that rental property has tax advantages over home buyers and that this has led to a reduction in the rate of home ownership since the early 1990's. However claiming expenses against taxable income is a tax law that exists for all businesses and investments. Rental property owners can claim expenses as a deduction because they receive rental income to deduct the expenses from. Tax is then paid on the balance. Home buyers do not have an income stream to deduct their expenses from. When buying a home they receive the benefit of accommodation rather than taxable rental income. These tax laws have always been in place and therefore had nothing to do with home ownership rates falling since the 1990's. What did change in the early 1990's is that Government assistance for first home buyers was removed, a far more likely reason for a reduction in new home buyers. 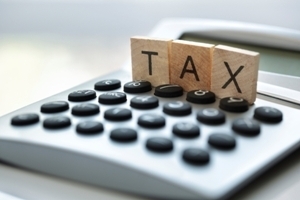 Whether the Tax Working group recommends a Capital Gains Tax or not is up to them. However Stephens admits that if one was introduced it is unknown if prices would fall or not, and even if they did, it would be a one off occurrence. Other countries with a Capital Gain Tax have still had high levels of house price growth and it is difficult to see why New Zealand be any different, especially when owner occupied housing is exempt. However Stephens is right when he states that a capital gains tax will increase rental prices, a factor that will make it harder for tenants to save a home deposit.